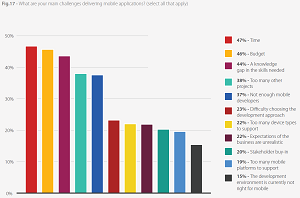 Enterprise mobility was featured first and foremost in the fourth annual research report on the state of application development from OutSystems, makers of a low-code dev platform. "Our 2017 survey clearly shows that many IT professionals are at a crisis point when it comes to digital transformation and application development," said exec Steve Rotter about the new "State of Application Development: 2017 Research Report." "Project backlogs are growing, there are more systems to integrate with, the demands for mobile and IoT are increasing, and the scarcity of skilled developers are top concerns," Rotter continued. OutSystems surveyed more than 3,200 IT professionals in 40 countries around the globe to gauge the state of app development and digital transformation. The research does indeed show that the demands for mobile are growing, as Rotter said, revealing that mobility has vaulted into the No. 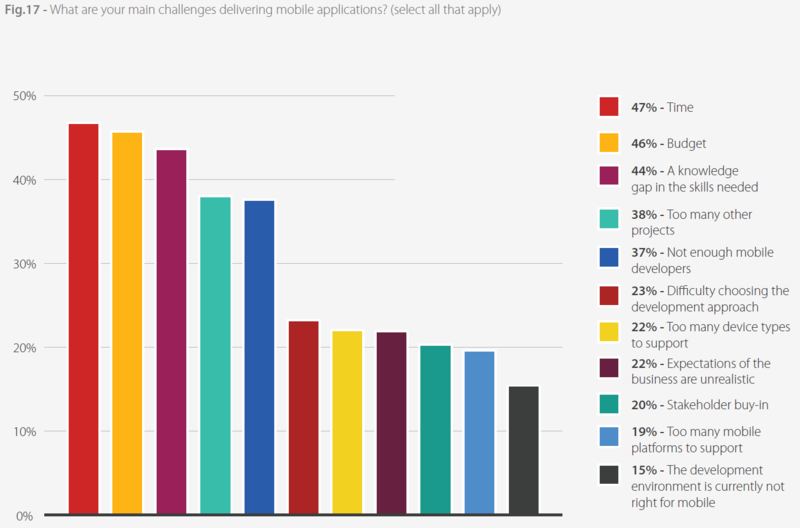 1 business concern reported by respondents asked about their top desired business functionality in new apps. 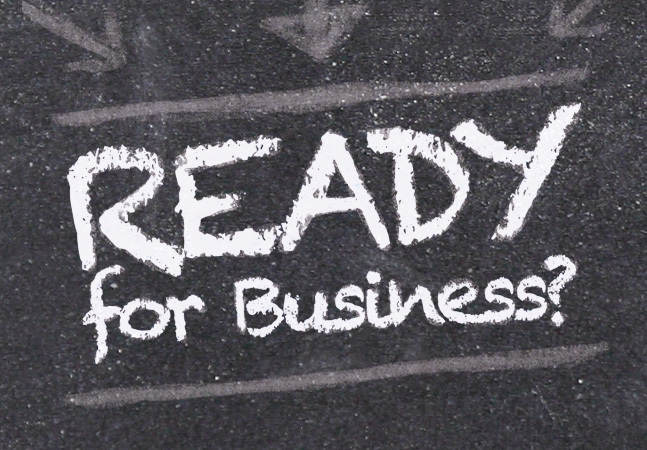 "Mobility requirements are soaring," OutSystems said. "Mobility was the most common business requirement for apps, up from sixth place in our 2015 survey. In addition, 88 percent of respondents noted that it was either a requirement or very important to incorporate mobile functionality into their current and future applications." In fact, while that No. 1 concern was related specifically to Web sites and portals that are mobile-friendly, the No. 2 most reported business functionality sought from developers was mobile apps. Taken together, those two mobile metrics far outweigh the other responses reported by respondents, which include integration of disparate systems and data sources; modernizing or replacing legacy systems; workflow business forms and more. And, unsurprisingly in the age of Big Data, many of those new apps are being used for reporting and analytics purposes, which was the No. 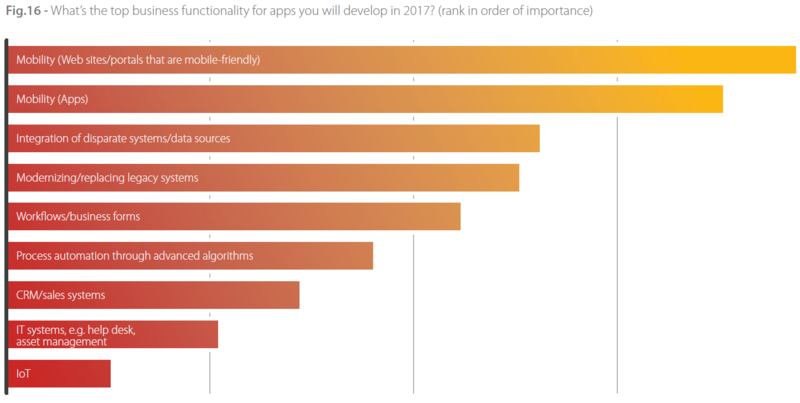 1 type of app reported being under development in 2017. Rounding out the top five were process automation, customer portal, IT asset-tracking and help desk; and customer experience. However, as the report indicated, there are many significant barriers and challenges facing organizations trying to mobilize their operations and analyze Big Data, including that pesky, perpetual skills shortage. "The problem is that creating mobile apps is both time consuming and difficult," OutSystems said. "As a result, backlogs are often an issue. When we asked IT managers, 62 percent noted that they have a backlog of projects stacking up because they can't meet the current level of demand, with 9 percent of them stating they have more than 10 projects to complete. It's also worth pointing out that IT professionals in the tech and financial services industries were the most likely to report having a backlog." And then there's that skills shortage, reported on again and again, year after year. It's perhaps no coincidence that in the industry at large, the development skills shortage is most commonly associated with mobile development -- the No. 1 requested functionality in the new report -- and Big Data, the No. 1 most requested type of app. The skills shortage was third-most reported challenge to delivering mobile applications, just a few percentage points behind two other perennial challenges facing developers of every kind of app anywhere: time and budget. "Skills gaps are another major issue with 44 percent of organizations reporting a knowledge gap in the skills needed to undertake mobile," the report said. 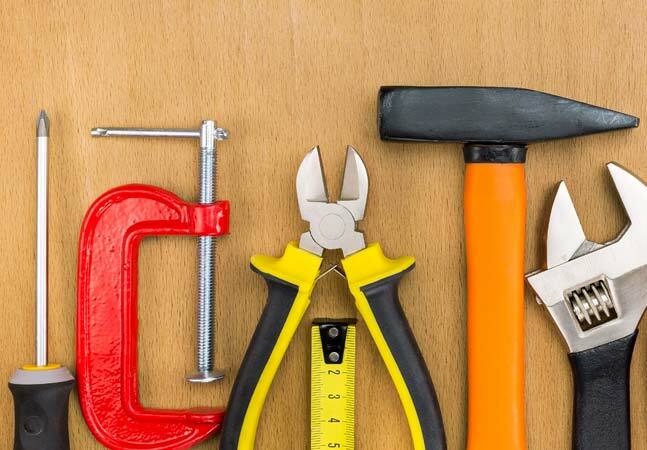 "Because app developers with highly sought after skills can be difficult to find and expensive to hire, most organizations don't have all of the skills that they need in house. In our survey, 37 percent of respondents said they face challenges hiring the right people to address the mobility skills gaps within their teams." Development times are excessively long. More than three quarters (76 percent) of IT professionals said it takes more than three months, on average, to develop a mobile app. For 11 percent of respondents, the time required stretches out to over a year. Not surprisingly, this is leading to considerable dissatisfaction, with nearly half (44 percent) of respondents saying that they're not happy with the current velocity of their application development team. Experimentation is on the rise. Organizations are focused on finding the right technical approach to building their apps, which has led to significant experimentation. 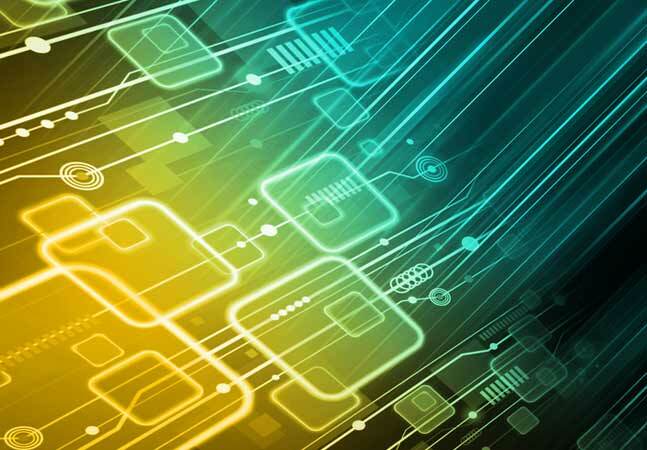 In fact, 43 percent of IT professionals said they're either using, or considering using, low-code or no-code platforms to support their IT strategy. The same percentage also said that their organization is enabling citizen developers to take advantage of this technology. Low-code is growing. Companies that have adopted low-code development platforms are seeing improvements in terms of faster mobile app development times and are less reliant on third parties for delivery. Regarding the consternation about excessively long development times, experienced developers and development managers might not be too surprised to find there are different viewpoints on that issue, depending upon whether the respondent is a front-line coder or a supervisory type. When asked the question, "Are you happy with the current velocity of your application development team?" 68 percent of developers answered yes, compared to 48 percent of IT managers and 43 percent of architects. "Our findings in this report validate the predictions of research houses like Gartner and Forrester and paint a picture of a difficult road ahead as demand for apps continues to exceed development capacity," OutSystems concluded in its report. "The substantial backlogs and skills gaps that many companies have to deal with only complicate matters further." "As technology matures and the lines between mobile and Web app development continue to blur, IT professionals are looking beyond native development to other options," OutSystems concluded.